Back in 2016, we learned that Sky Ferreira had landed a role in an upcoming biopic about Norwegian black metal pioneers Mayhem. Now, we've learned about some more musicians lending their talents to the Lords of Chaos project. As Pitchfork points out, according to a freshly unveiled poster, Sigur Rós provided the music for the film. The Icelandic group have also recently shown off their knack for composing film and television music with contributions to Black Mirror, Dawson City: Frozen Time and Planet Earth II. 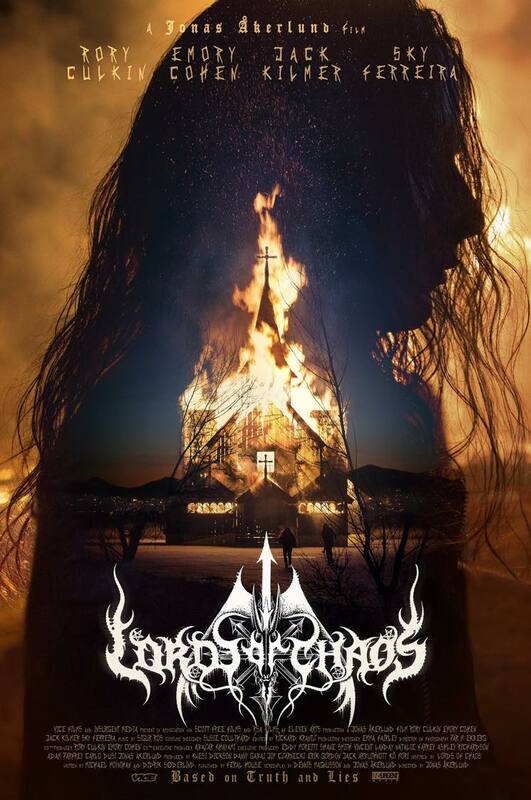 As previously reported, Lords of Chaos was directed by Jonas Åkerlund. It tells the story of notorious black metal band Mayhem, who are remembered as much for their music as their wild stage antics, burning down churches, and the grisly murder of guitarist Øystein Aarseth by former member Varg Vikernes. The filmmaker previously showed off his own affinity for black metal as a member of Bathory in the '80s. Since then, he's created concert films for Beyoncé and JAY-Z and Taylor Swift, as well as blockbuster music videos for the likes of Roxette, the Prodigy, Madonna, Blink-182, Lady Gaga and Britney Spears. In addition to Ferreira, Åkerlund's latest film also features performances by Rory Culkin, Emory Cohen and Jack Kilmer. Lords of Chaos is slated for release at the Sundance film festival this week.